I’ve always associated chicken chop and chicken rice to Hainanese cuisine, but I soon found out there was more to the cuisine after dinner. 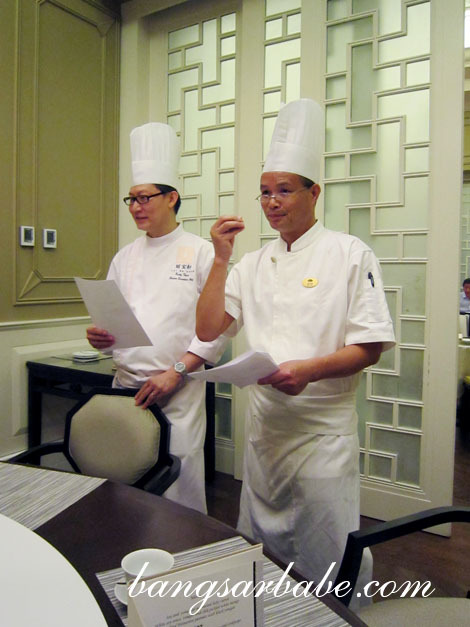 Master Chef Leung Po Lam from Mandarin Oriental Sanya will be at Mandarin Oriental Kuala Lumpur from 14-23 September 2012 to showcase his signature Hainanese dishes. Instead of regular boiled peanuts, we were served soy and coriander marinated baby carrots, white soy sauce, vinegar and chili pickled turnip and deep fried Hainanese peanuts with black vinegar. 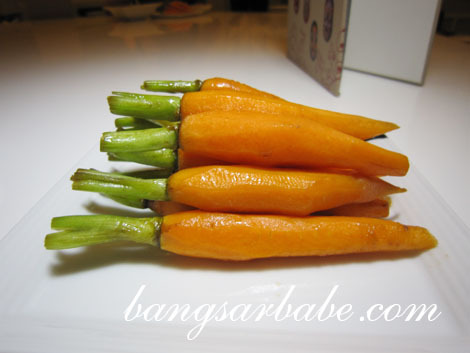 All had strong flavours, save for the carrots. Double boiled kung fu soup with fish maw and cordyceps was nowhere near light. 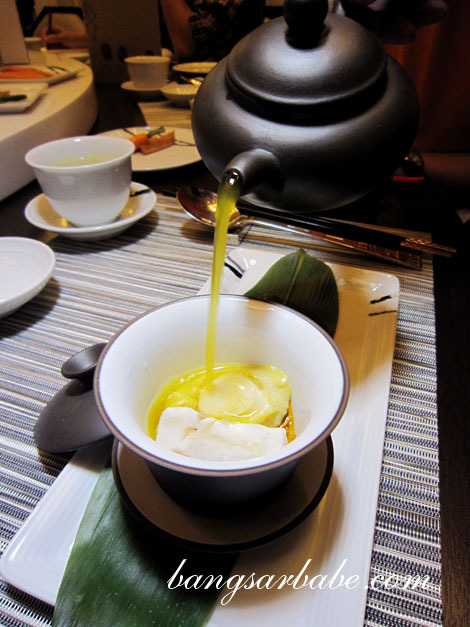 The soup came in a teapot and was carefully poured over the baby abalone, fish maw and cordyceps. One sip confirmed that the best ingredients were used – the broth was murky, lightly yellow and compact with flavour. 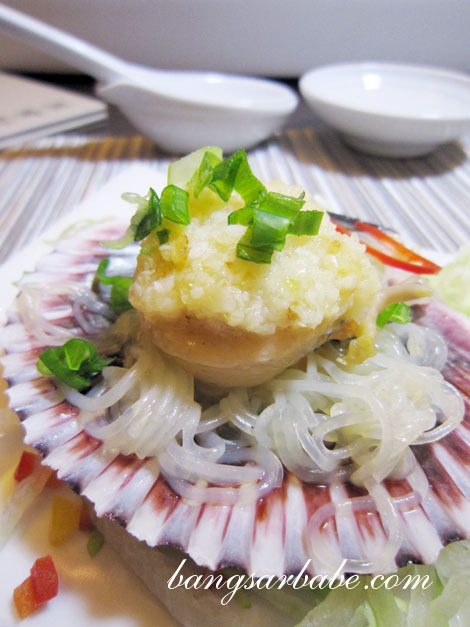 Hainan cuisine is greatly dominated by seafood, hence the next dish – steamed baby abalone and king scallop with glass noodles and black bean sauce. 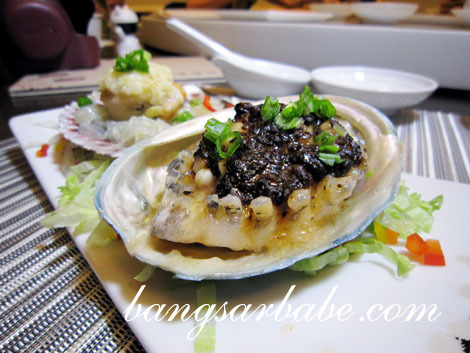 I’m confused as to why they would name the abalone ‘baby’, for it was rather huge. Texture-wise, it was of perfect chewiness and the scallop was plump and sweet. 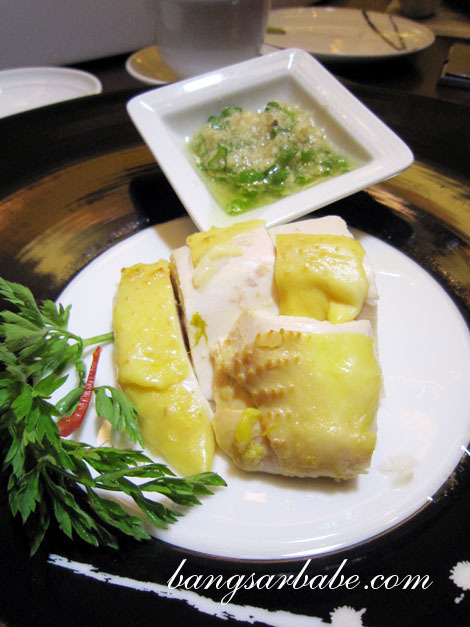 Poached “Tanniu Wenchang” chicken was firmer than the ordinary chicken. The meat was smooth and firm, and served with young ginger sauce. Chef Leung revealed that he also included some garlic into the sauce to give it a rounder flavour. Homemade tofu in superior sauce, bamboo pith, bird’s nest and asparagus was simple, but fairly tasty. 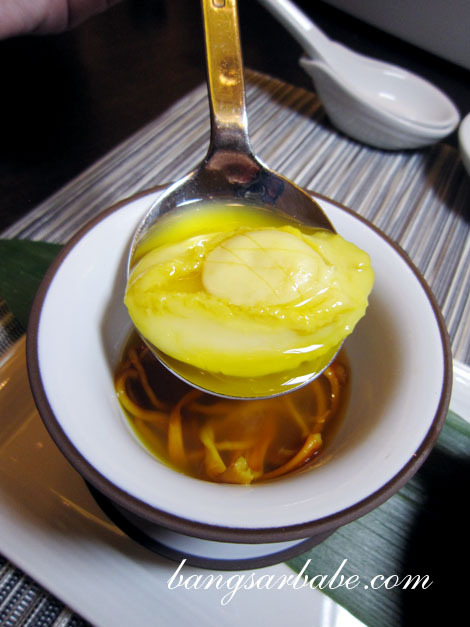 The bird’s nest added a luxurious touch to an otherwise ordinary dish. Lotus lake sautéed vegetables with sliced cuttlefish was beautifully presented and lightly flavoured. I liked how tender the squid was – a nice contrast to the crunchy vegetables. 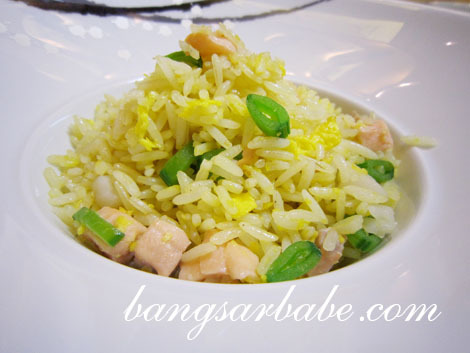 Fried rice with salmon and scallop took some getting used to, because it was bland. I was told no stock, no seasoning and no marinade were used to prepare this – just a pinch of salt while cooking. This was to allow the flavour of the salmon and scallop to stand out. Desserts were lovely. 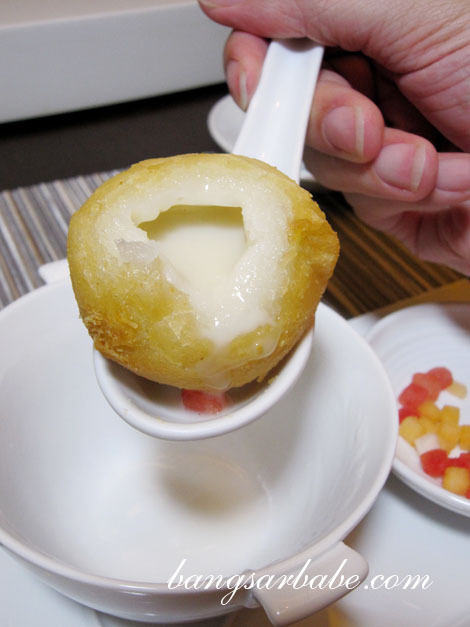 We tucked into a platter of creamy almond tea with egg white and deep fried coconut milk spheres. 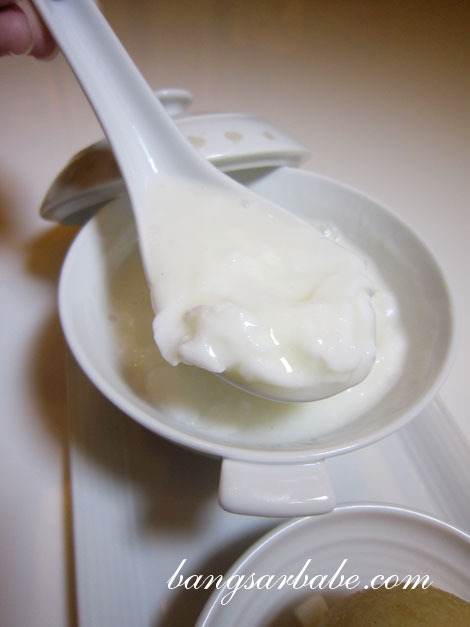 The former was said to have health and beauty benefits – maybe I should eat this every day then. Don’t just blatantly chew the spheres. 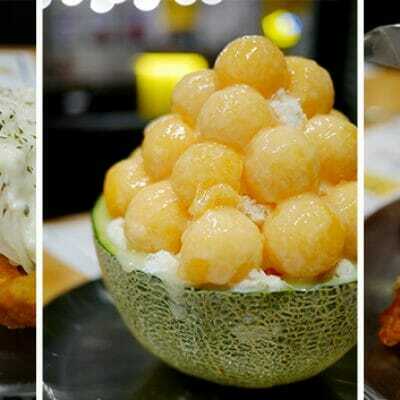 Enjoy it by biting a small hole at the top of the sphere and sucking the coconut milk out. Chef Leung has almost 30 years of culinary experience – he started at age 18 – and has worked in some of the best restaurants in Hong Kong and Guangzhou. He helped Langham Hotel Hong Kong earn a Michelin star rating for its Cantonese restaurant and two Michelin stars for Four Seasons Macau. The Hainanese Cuisine menu is priced at RM32++ onwards per dish, from 14 to 23 September 2012. For more information, check out Mandarin Oriental Kuala Lumpur’s official page or email the hotel at [email protected] Follow Mandarin Oriental Kuala Lumpur’s Facebook Page or twitter page for updates. I enjoyed them. 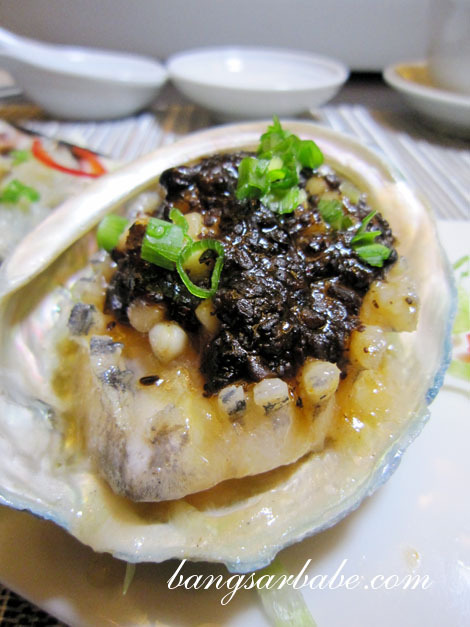 Especially the abalone. Can’t believe they call abalone of that size ‘baby’! The dishes looks really tasty and simple. 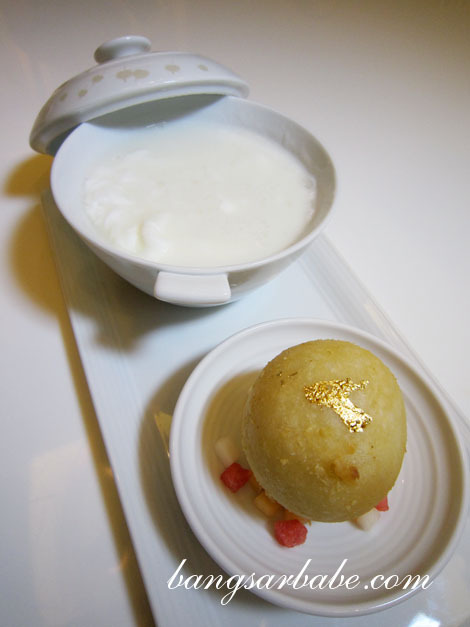 Must have taken years for these masterchefs to prepare dishes with such finesse. whoa, honestly, everything in this post looks absolutely luscious and glamorous. I wonder how much it might cost me to order the entire same menu as u did..